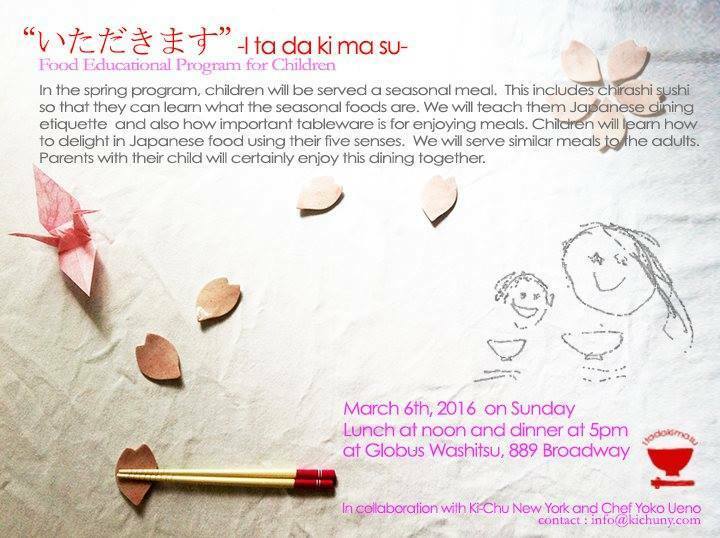 Sunday, March 6 at 5:00 p.m.
Children will learn about seasonal food and Japanese dining etiquette at this program cohosted by Ki-Chu New York and Chef Yoko Ueno at Globus Washitsu, a traditional tea ceremony room located near Union Square. Ki-Chu New York is an organization founded by Kumiko Jitsukawa that presents Japanese food culture through enriching dining experiences conveying the beauty and meaning of the Japanese sense of seasonality and aesthetics. 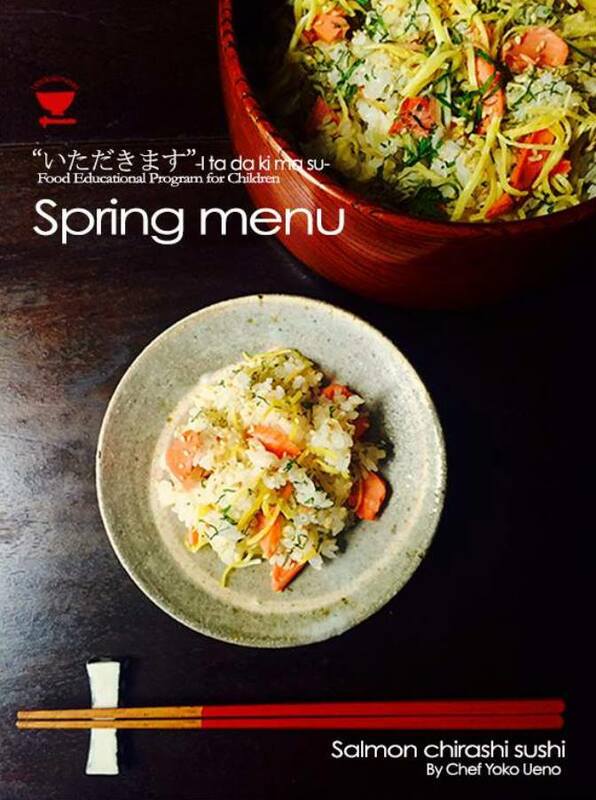 Jitsukawa and Chef Ueno will serve a seasonal meal that includes salmon chirashi sushi so that children and their accompanying parents can learn to appreciate Japanese food through their five senses.